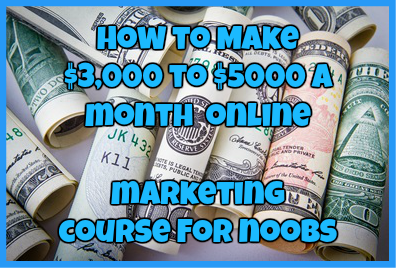 MOBE, also known as My Online Business Empire is a program online that promises to help its members to make money online by promoting and selling high ticket items. Founded by Matt Lloyd, this program has supposedly made multiple members into millionaires, but how true are these claims? While this program is promoted to nearly anybody who is looking for a chance to work from home, it is primarily for those who have enough money to invest in the various high priced memberships that are offered. When it comes to the support system, this is where things begin to become hazy. According to the owner Matt Lloyd, the support system isn’t up to par and is unable to meet the current demand of all of its members. The support itself consists of a toll-free number and a standard ticketing system. However, a unique thing that MOBE offers to its member is a community aspect which is unheard of for many make money online programs out there. However, the community is not located in the back office of the member’s portal where you would expect it to be. Instead you will find the community located on the programs official Facebook group where you can PM other members to get the support you need. Included in this membership is the ability to market most of the products listed with the MOBE marketplace. You can earn 10% to 50% commissions on these products. With these three memberships, you are able to earn commissions based on the respective membership tier. On top of that with these memberships you are required to travel to various conferences and meet-ups, all on your dime. Even though it first seems you have a choice to choose one of these memberships, the way that MOBE works will eventually force you into purchasing the most expensive memberships as you go along through the program and end up forcing you to promote MOBE. One thing is for sure: in the end, you will end up spending way too much money with no guarantee of a return of investment. If there is one thing that you will notice almost right away upon looking for My Online Business Empire reviews, is the amount of criticism, hate and negative reviews it has gotten in the past couple of years. However, there are a few mixed reviews out there from members. Take a look at what some people are saying about this program below. Paid my membership for $54 and have been waiting 7 days to hear from my coach. I’m trying to start the 21 day training and still haven’t heard anything. I wish the owner behind this would let me start the training myself. I just signed up with MOBE and purchased the licensing rights. I am currently going through the 21 step training and am currently working one-on-one with my coach. I hope to purchase the Titanium and Platinum partnerships soon. Wish me luck! I just joined MOBE a few days ago and was waiting for Matt Lloyd to begin promoting something to me and wouldn’t you know it, come day 6 I was asked to purchase a product for $2,497! I was a victim of MOBE and paid nearly $16,000 for the Titanium membership, paid out nearly $2,500 in Facebook ads, and $200 for lead page subscription. The only commission I have earned was only $400 which is stuck in my ewallet which I have to pay to maintain in the first place. Avoid this program if you can! You will only lose money! After looking at MOBE: My Online Business Empire and looking at certain aspects of the program such as the overall price, user complaints and reviews, the memberships and what is included in each membership, this is one program that I don’t feel comfortable recommending. This is not the ideal program for those who don’t have a substantial amount of money to invest in promoting the program itself or even those who don’t have time to promote the program. However, if you have enough capital to invest in this opportunity, then by all means go for it. If not, I recommend staying away and instead learn the basic of online marketing and educate yourself before promoting ANY opportunity. Have you tried MOBE? If so, what did you think of it? Let me know your opinion in the comments section below! ← Cash with Oz Scam-Red Flags, Red Flags Everywhere! I got scammed by a bogus broker, feel so stupid. anyway I got my money back and moving on. Don’t feel stupid. The problem is these types of programs never tell you the truth upfront of costs and risks. It is always important that you do your own research ahead of making a purchase but even if you don’t, it was an honest mistake. The best thing to do is learn from it and keep pushing forward. So how is this an “honest review” if you’ve never even TRIED the mobe program or training? Since you have experience with MOBE, what is your opinion or review of the program? i dont know much about WA but seems good. however it might be i can tell you mobe is definitely a scam. i know it and many other people know it. if you are in mobe you know this as well. MOBE is a complete scam. You will not get paid, you cannot get your money back and Matt Lloyd is a thief and con man. His other MLM cheme failed, that being MTTB. He is getting rich by ripping people off. Plain and simple. 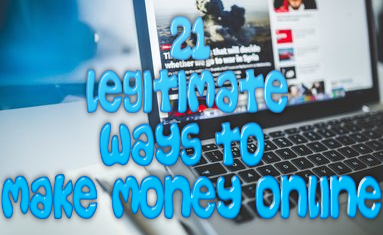 Unfortunately, it is a common practice in many Internet marketing programs. Hey, it’s how they get their money! The tick is finding which one will give you more bang for your buck, and your buck meaning something you only have to pay once or a low monthly fee.